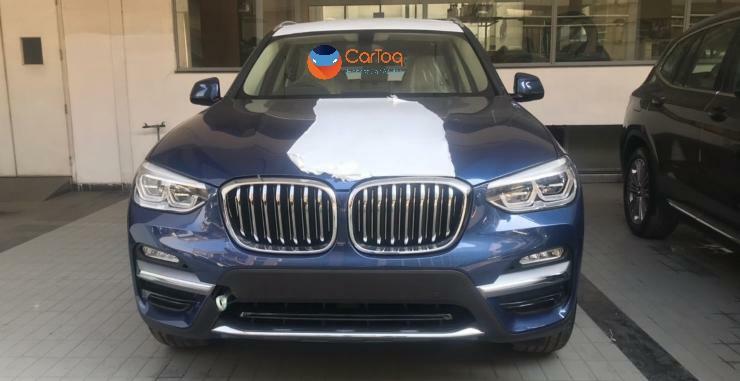 These are the first (unofficial) images of the all-new, third generation BMW X3 on Indian soil. This premium SUV will be showcased at the upcoming Auto Expo next month. 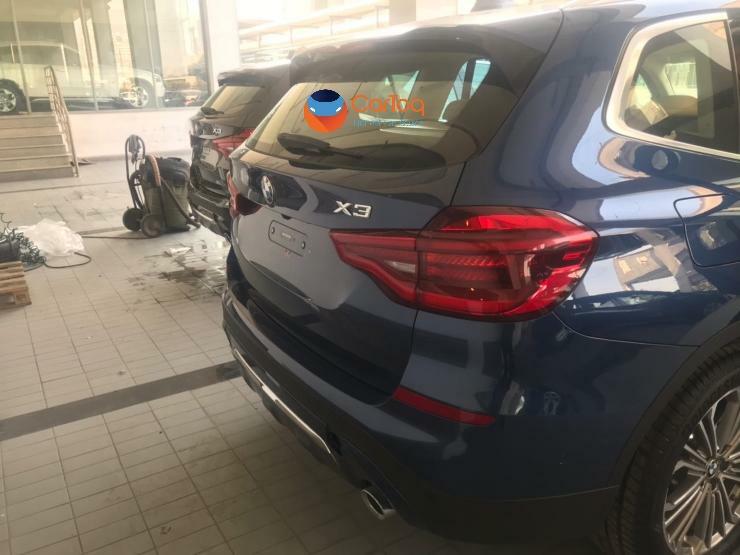 Into its 15th year of production worldwide, the new X3 will initially come with a 2.0-litre diesel motor with a larger diesel or a petrol at a later stage. The new X3 is slightly longer due to its 54mm longer wheelbase. This also ends up liberating extra passenger space inside the cabin. Front end is dominated by a new kidney grille which is functional as well in terms being aerodynamic. Infact, other design elements combined together, the new X3 has a class beating 0.29 Cd drag coefficient. The new X3 also gets LED details in the lamps on either sides. 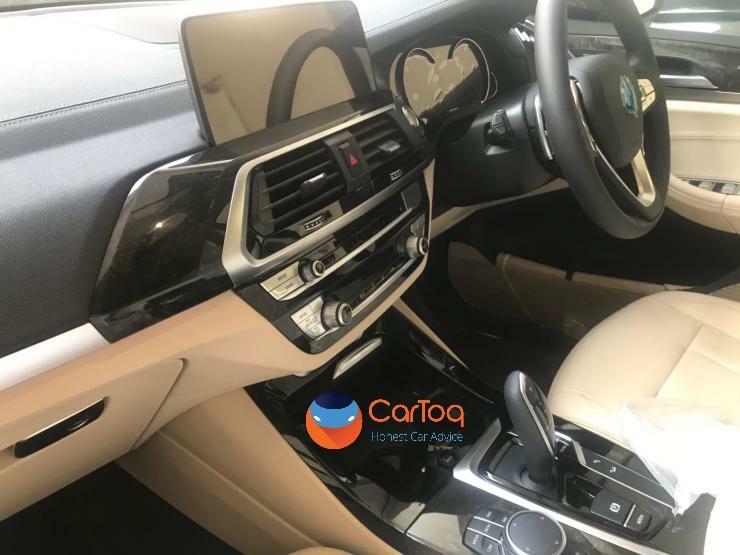 On the inside, you get a new 12.5 inch floating infotainment system with gesture control which allows the user to operate various navigation and infotainment functions intuitively using just finger and hand gestures! The cabin design does look a lot like the new 5 Series. Other practical touches include three-zone climate control, 40:20:40 split for the rear seats and boot space of upto 1,600 litres with the 2nd row down. The new X3 is more than 50 kg lighter too which means better performance and lower fuel consumption. The 1995cc diesel engine will continue to put out 190 PS of power along with 400 Nm of torque. It will be mated to the famous 8-speed automatic transmission. This unit has a combined fuel economy of over 18kmpl as per international tests. The new BMW X3 will lock horns with rivals like the Audi Q5 and the Mercedes-Benz GLC. The current version starts at just under Rs 50 lakh (ex-showroom) but this new generation model will be priced at a slight premium.